Grand Prix Phoenix was a landmark event for a couple reasons. Okay, well, two reasons – Bloodbraid Elf and Jace, the Mind Sculptor. 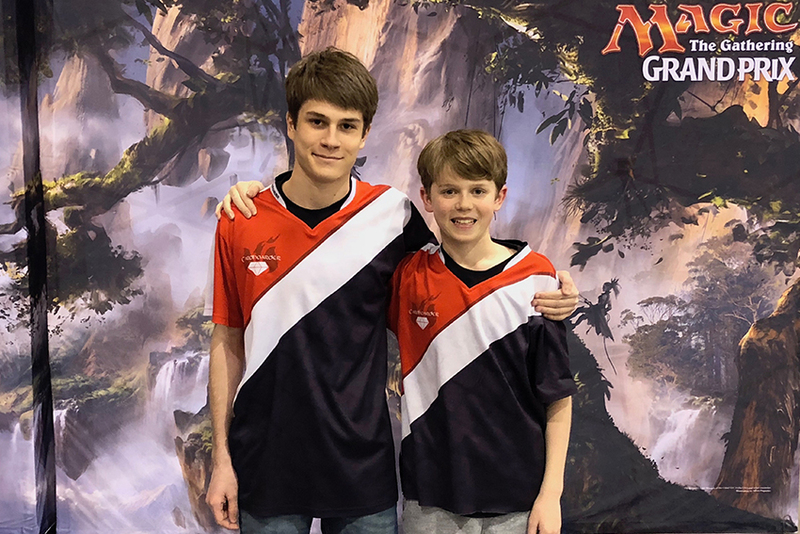 The duo are forever linked thanks to their shared history, and Phoenix marked the first large-scale premier event that the two were legal together – Bloodbraid spent the last few years on the banlist while Jace has never gotten off the sidelines before now. Would the two dominate? Would Jace reach heights not seen since CawBlade days, or would Bloodbraid harken a return to dominance by Jund? We'd had some hints over the past few weeks, but nothing would provide quite as sound a stress test as Grand Prix Phoenix. Here are the stories that stood out to us from the weekend. There are a few famous sibling duos in Magic history – Oliver and Antoine Ruel come to mind, as does the more recent string of success shared by Brad Nelson and Corey Baumeister. After Grand Prix Phoenix, there may be a new duo moving up in the ranks. That would be Quinn and Jack Kiefer, two teenagers not old enough to vote but plenty old enough to make waves on the Grand Prix scene. The pair both began the tournament 7-0, while older brother Jack ran to a perfect Day One record. The duo didn't keep the double Top 8 dream alive to match the feat that Nelson and Baumeister pulled off in back-to-back tournaments last year, but they did post identical 11-4 finishes, good for Pro Points and a cash finish. It may not be the dream ending they hoped for, but it was one of the most exciting stories to follow this weekend a huge moment in the siblings' up-and-coming Magic careers. We all knew that Krark-Clan Ironworks was a combo machine just waiting to be broken. The ability to sacrifice a bunch of artifacts for value has been a fringe player in Modern since its creation, but the strategy got a real shot in the arm with the printing of Scrap Trawler. Utilized by players like Pascal Maynard and Shaheen Soorani among others, the deck made waves last year as one of the stronger combo decks in Modern in just the latest example of the comborific artifact making a splash. But things went to another level in Phoenix, as a handful of pros including eventual Top 8 competitor Matt Nass all arrived sporting the Ironworks Combo deck, which had a few new wrinkles in the list but even more in the understanding of how the deck worked. Thanks to a quirky rules interaction – you can read all the very technical details here – the deck is even more consistent than previously thought, and it's clear from their combined performance that leaving the Stony Silence at home was a mistake. I promised the metagame breakdown in full, so who am I to deny you the statistics we all want so badly. Let's start with the broadest strokes possible for the sake of completeness. Burn led the way, with Jund and Tron variants just behind. The sheer amount of distinct decks that advanced to Day Two with a record of 6-2 or better perfectly showcased the diversity of Modern, and if that had been al there was to look at, we could conclude that Modern was in a extremely healthy place after the unbans of Jace, the Mind Sculptor and Bloodbraid Elf. But this tournament had even more to come. It's hard to get any better than this. Eight different archetypes were featured in the Top 8, with two Bloodbraid Elf and two Jace, the Mind Sculptor decks making an appearance. Steve Locke (Humans), Michael Hughes (Red-Green Eldrazi), Tate Donovan (Green and Taxes), Alexander Corwith (Tron), Sung-Jin Ahn (Bring to Light Scapeshift), Matt Nass (Ironworks Combo), Vikram Kudva (Knightfall) and Pierson Laughlin (Jund) made the Top 8 all playing decks that fit their personal playstyle, and the Top 8 delivered everything fans of Modern want from the format, from combo decks to midrange decks to ramp decks to prison decks. And just outside the Top 8 lurked a multitude a control decks as well. Dark Confidant is one of the most famous cards in Magic for a reason. The two-drop has accomplished so much over its history, and games are won and loss based on what ol' Bob (named, of course, after Bob Maher, who helped design the card after winning the Invitational) reveals off the top of the deck. This creates moments of drama like no other, and thanks to the resurgence of Jund we were lucky enough to see that drama in action during the semifinals of Grand Prix Phoenix between Pierson Laughlin and his Jund deck and Matt Nass and his Ironworks Combo brew. You can't ask for any more than that. Steve Locke is making a habit of winning Grand Prix. Average finish in his last two individual events? First place. And he almost didn't even play in Phoenix. He and his wife have family in the area and typically travel to the area in March, and it was a bit of a happy accident that there happened to be a Grand Prix that conveniently lined up. So, Locke thought, why not give Modern a shot? 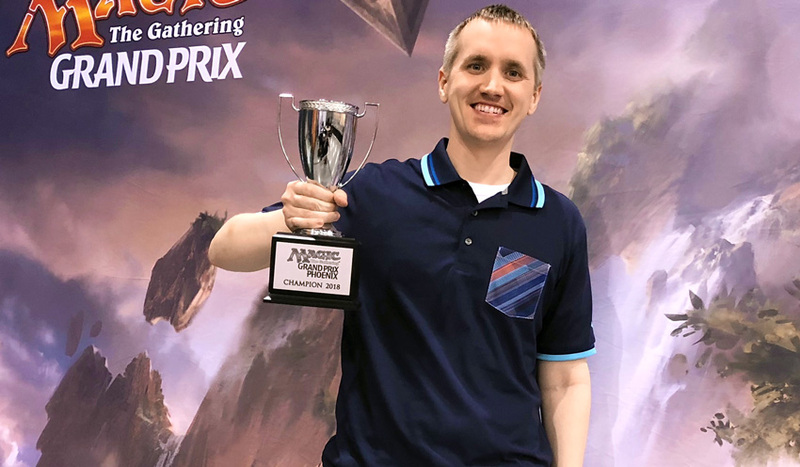 His last tournament – Grand Prix Minneapolis last year – he won with Mono-Black Zombies in Standard without dropping a match. Well, Locke may want to accidentally find himself at a few more Grand Prix. He tore through the tournament with the Humans deck that is a relative newcomer to the format, and found himself in the finals against Pierson Laughlin and his Jund deck – the same deck that had just delivered him to the finals thanks to the Dark Confidant moment revealed above. Well, once again it came down to Dark Confidant, as Locke passed the turn and Laughlin untapped with a Dark Confidant in play and at a precariously low life total. And this time he paid the cost; Bloodbraid Elf won its first GP – though for the player you might not expect – as it was revealed to Dark Confidant to drop Laughlin to zero and send Locke to his second Grand Prix title.